Over the course of history, mankind has perfected its industry by not only relying on technical evolution but also by reinventing it. The last step in the evolution of technology is called Industry 4.0. But what’s next? We think it’s the Blockchain and we think a part of the evolution are governments adopting cryptocurrencies. Cryptocurrencies took the world by storm. 9 years after Satoshi “invented” Bitcoin. The price of BTC and Altcoins dubbled within weeks. The average ICO returned well over 10x. ICO funding surpassed traditional VC funding. Now, months later the situation has changed. Most of the “gamers” have left the field and the professional participants have entered it. 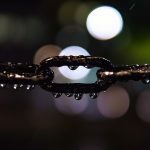 Strengthening the Blockchain. What has not changed? The technology behind crypto. After 2009, the release of BTC, there came skepticism, before moves to acceptance. While regulation has lagged behind innovation, it is now the case that countries, as well as central banks, are increasingly expressing the desire to build their own digital currency options. 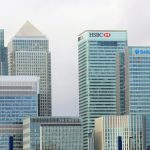 The Cambridge Centre for Alternative Finance came to the conclusion that 87% of all global central banks are investigating distributed ledger technology and are looking at state-issued digital currencies. Among countries exploring the potential for state-backed cryptocurrencies, Sweden is the front-runner. Sveriges Riksbank, Sweden’s central bank announced a plan to examine the potential issue of the e-krona as an equivalent in value to Sweden’s regular kronor. Riksbank expects that the e-krona will be used in small transactions between consumers, companies and the authorities. While Sweden is still very much in the planning stage – the inquiry into the viability of the e-krona is expected to finish in 2019 – Venezuela has already launched its own state-backed e-currency, the petro. The difference between the petro and the e-krona is that the petro is pegged to the price of oil. One petro has an equivalent value and represents a barrel of oil extracted from Venezuela’s oil belt. During the cryptocurrency’s pre-sale, investors were offered $60 tokens at discounted rates. Back to Europe: A fintech in Finland has teamed up with the Finnish government to help asylum seekers gain entry into the banking system with Blockchain technology. The Helsinki-based fintech MONI has been working with the Finnish government for three years to make sure asylum seekers, who often encounter barriers in traditional banking, can get access to the necessary financial services. The developed platform uses a combination of mobile-first accounts and prepaid Mastercards to provide basic finance, so the customers. In this case, the focused asylum seekers, can settle bills and receive payments. But why are cryptocurrencies so interesting? Within the next years, government-based cryptocurrency will be an area of experimentation and explorations. Mostly by developing nations with unstable economies and institutions. With a timeline driven more by political concerns rather than economic issues or technical progress. “Zimbabwe should be investing in understanding innovations and often central banks are too slow in investing in these technologies. But there are other countries which are moving faster. If you look at the Swiss central bank they are investing in and understanding Bitcoin. He plans to speak with the Reserve Bank of Zimbabwe to make the adoption happen. Much of the urgency seems to be the fact that the country’s political problems have been taking a toll on cash supply in the area. He believes that the decision to not accept Bitcoin would close the door on many opportunities that they would otherwise be privy to. This is a very good example of how cryptocurrencies can reshape governmental structures. So the next step might be that the new government of Zimbabwe creates a new cryptocurrency as a viable solution for the problems the country is facing. Considering that Venezuela’s new cryptocurrency “petro” raised over $5 billion during the pre-sale phase, many other countries will follow and Zimbabwe might be one of them. And it could be a very successful next example how the Blockchain will shape the future. But in a lot of these cases, such developments are experiments and unintentional. Most of the governments like Zimbabwe that are moving forward with an own cryptocurrency may not realize that they are their own test subjects due to the lack of expertise. All of at least most of them will turn to external consultancies. 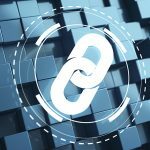 Most of them newly formed with limited resources as the Blockchain itself is a new field to be explored. Some governments will end up as victims of hackers if the practices in terms of due to practices for private-key management and related processes are implemented inadequate or incomplete. So they will have to find reliable, well-organized companies with experts of the blockchain technology. This parallels the early days of the Web, where major companies that were successful in commerce (but not familiar with e-commerce) made mistakes in initial implementations, resulting in huge problems e.g. the loss of data and the loss of funds. But finally, web technologies became the major force in the evolution of technology and the evolution of the world in total. In the long run, successful cases will emerge. Many current limitations will be solved, such as scalability, privacy controls, and interoperability. And finally the Blockchain will have been the major force in the last 500 years of history and it will have shaped the future when you look back 10 years from now. The article was written by Michael Bloomberg, from BitExplorer. It was like a dream come true because I never believe I was going to receive my profit from Zuma till I received notification of incoming BTC in my wallet and I made my withdrawals successfully. All thanks to Zuma investment and I have chosen Intermediate plan, and I earned more than a double. Now, I’m planning to reinvest more money because I really earn a lot here. Actually, this is not my first investment initiative, but one of my favorites because it really does pays. I really want to share this with you guys.